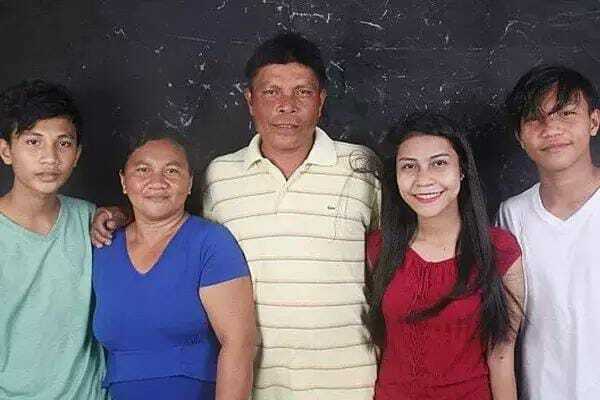 Regine’s achievement means so much to her family, and all the students who, like her, have big dreams but little means. 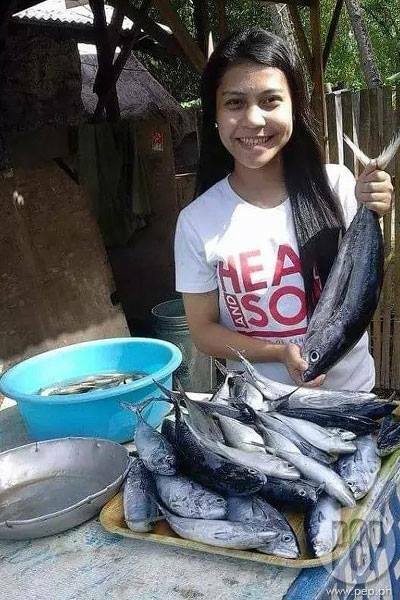 A proud daughter of Mang Raul, a fisherman and fish vendor in Taloot, Argao in Cebu, the 20-year-old Cebuana did not see “kahirapan” as a hurdle. 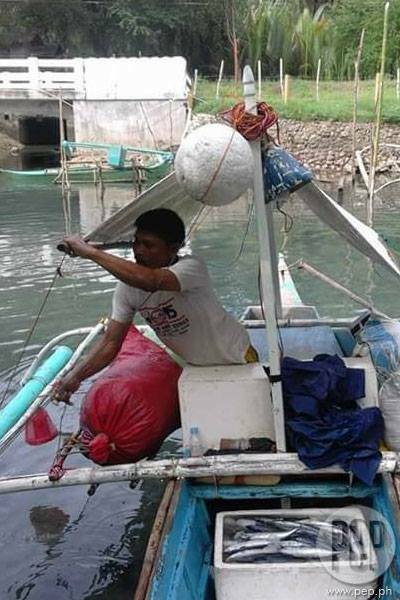 Her 42-year-old father gets up at dawn every day to start fishing. Regine told PEP.ph (Philippine Entertainment Portal) in an interview via Facebook Messenger, “Umaalis nga po pala ng bahay ng two or three a.m. ng madaling araw para mangisda ‘tapos po, uuwi siya mga two or three din ng hapon. How much does Mang Raul earn per day? Regine answered, “Si Tatay po more or less 700 pesos yung kita niya in a day. “Pero depende po iyan kasi pag may bagyo, siyempre madalang ang kuha niya. “‘Tapos naman po minsan pag maraming huli, kikita po kami ng more or less 1k pero hindi po iyan permanente. “Depende lang po talaga sa panahon. She added, “Kaya po hindi kalakihan kita namin kasi huli lang ng Papa ko ang binibinta namin at WALA PO KAMI SA MERCADO. 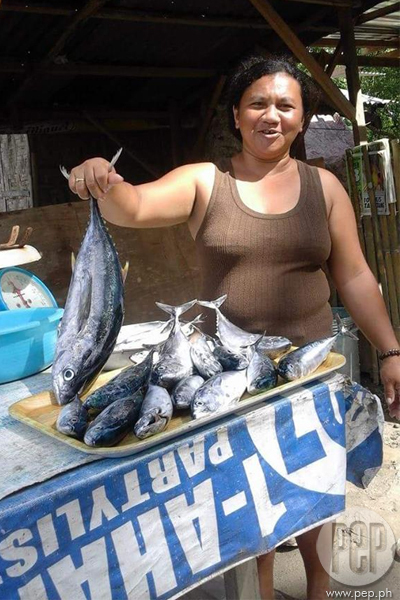 Whenever Rej (her nickname) is home, she helps her mom, Mary Jane, sell fish. At an early age, she was already exposed to life’s hardships. According to Rej, their family has always looked at the bright side. Rej has two younger brothers: Jonard, 15, and Ramer, 17. 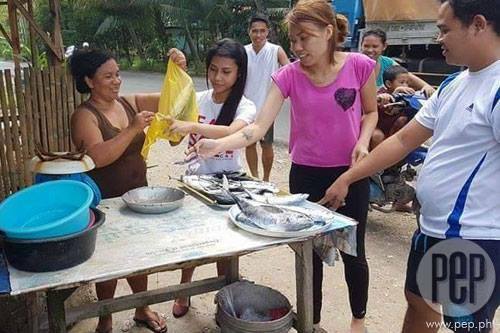 Although her parents do their best to provide for them, P700 is barely enough for their needs. Getting good grades became her solution to help her parents. “Napakalaking tulong din po ng fifty percent tuition fee discount ko sa USJ-R, pero I have to maintain a general average po every sem na hindi lalagpas ng 1.4. 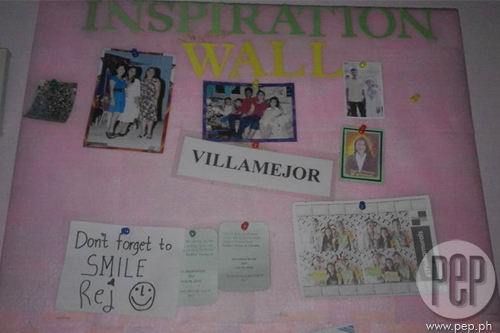 Since her hometown is two to three hours away from the city, Rej stayed in a boarding house, where she created an “inspiration wall” that bore her family’s pictures. She also placed a Sto. Nino in one corner of her room. “Best armor ko po iyan,” she said. She admitted, “Isang beses pa lang po ako nagka-boyfriend. First year college po ako noon. Did she tell her parents? 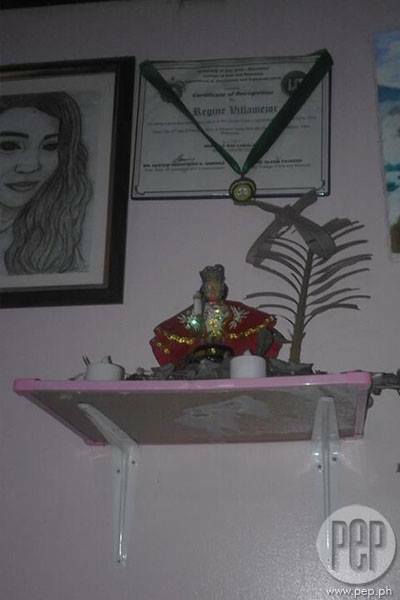 “Nung nagka-boyfriend po ako, di ko po sinabi kina Mama at Papa kasi natakot ako na baka patigilin ako sa pag-aaral kasi siyempre first year college pa po ako nun. Does she have an ideal guy? But she’s not in a hurry. “May tamang panahon naman po para sa lahat ng bagay. What did her parents say when she told them she’s graduating with honors? 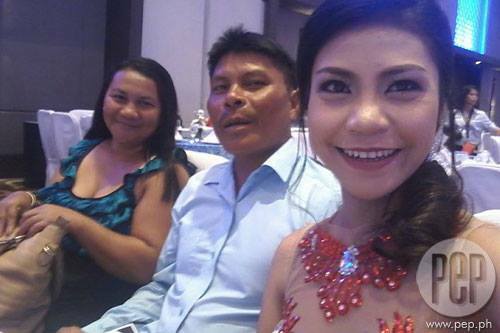 Referring to her dad, Rej said, “Sobrang saya po niya. “Makikita mo talaga sa mga mata niya lalo na nung nag-attend siya ng ring hop ko kagabi po [March 22]. This was taken during their ring hop, a dance ceremony that takes place during Graduation Week. 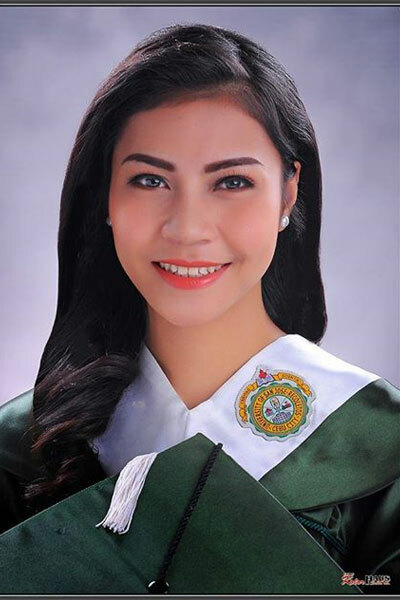 After earning her Bachelor of Arts degree in Liberal Arts and Commerce, she’s hoping to find a job right away. Is she going to be based in Cebu? Just before the chat ended, she left this inspiring message. “Where there is love and determination, you can never go wrong. “Just be optimistic, no matter how complicated the situation may be. “Being optimistic would help you get out of the bumpy road mostly during the times that you nearly want to give up. “No matter where life takes you, keep your feet grounded and always have the sense of character in you because it would surely bring you to the best destinations.